WASHINGTON (Sputnik) - The United States is providing Ukraine with $200 million in security cooperation funds for training, equipment, and advisory efforts, the Department of Defense said in a press release on Friday. "The Department of Defense announced today that they will provide $200 million to Ukraine in security cooperation funds for additional training, equipment and advisory efforts to build the defensive capacity of Ukraine’s forces," the release said. The funding will support Ukraine's command and control, situational awareness system, night vision, and other operational needs, the release said. The timeline for delivering and fielding the equipment has not been determined, it added. The Pentagon said the United States has given Ukraine more than $1 billion in assistance for its security sector since 2014. In early March, the State Department signed off on a $47-million sale of shoulder-fired Javelin anti-tank missiles requested by Ukraine. The US Defense Security Cooperation Agency in a statement said the transaction aims to help Ukraine defend its sovereignty and territorial integrity. 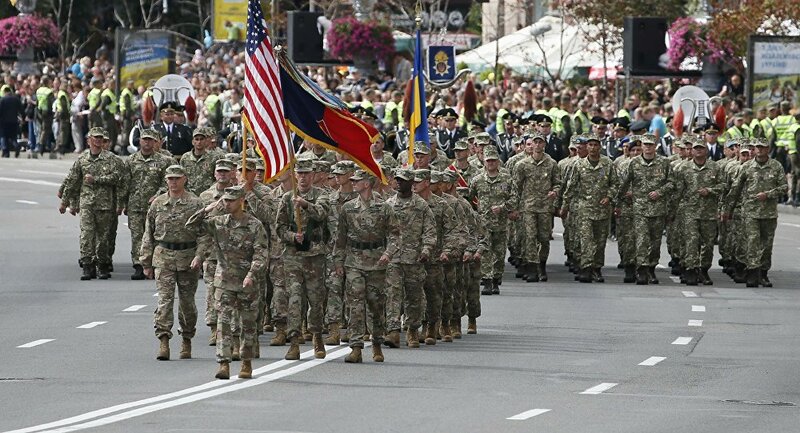 The US 2018 defense budget, signed by President Donald Trump in December, allocates $350 million for security assistance to Kiev. Moscow has repeatedly warned against supplies of weapons to Ukraine saying that this would result in escalation of the military conflict in the country's eastern Donbass region, ongoing since 2014. This stance has been also supported by a number of European officials.